Sandra Lou DeSilvia Kennerson of Greensboro, GA died Monday, April 1, 2019 at The Harbor in Eatonton, GA. She was 83. Born on December 13, 1935 in Tallahassee, FL, she was one of two children born to the late Ernest DeSilvia and Wanda McCormick DeSilvia. 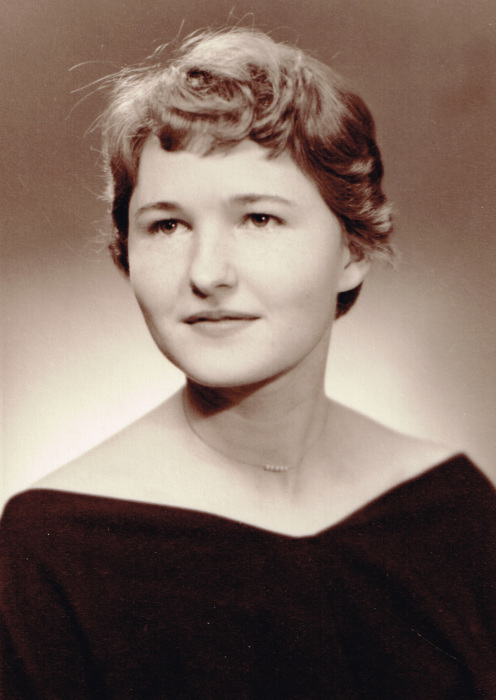 After graduating from Central High School in 1953 in Jackson, MS, she attended Mississippi Southern College before transferring to Texas Woman's University in Denton, TX where she earned a Bachelor of Science degree in 1958. Sandra did her Occupational Therapy clinical affiliations at Crippled Children’s Hospital School in Sioux Falls, SD, American Lake Veterans Hospital in American Lake, WA, and Houston Veterans Hospital in Houston, TX. Sandra then took a position at Norwich State Hospital in Connecticut as an Occupational Therapist where she retired from in 1990. It was in Norwich that Sandra met and married Nelson Walter Kennerson on July 1, 1961. They retired to Naples, FL living there for twenty years and in 2013 made their permanent home in Greensboro to live close to their daughter and her son. Sandra and Nelson loved to travel and spent many summers on Flathead Lake in Montana. Sandra was a member of Sigma Sigma Sigma Sorority, American Occupational Therapy Association, Society of Mayflower Descendants, National Society Daughters of 1812, National Society Daughters of the American Revolution, The Baronial Order of Magna Charta, CT Society of Genealogists, and the Collier County Genealogy Association. She was an avid reader and loved genealogy and walking. Survivors include two daughters, Heather Leigh Kennerson of Greensboro, GA and Paige Moira Montague and husband Paul of Montpelier, VT; three grandchildren, Emily Montague, Laura Montague and Philip Knowles; brother, Craig DeSilvia and wife Rebecca of Boise, ID; other relatives and many friends. She was preceded in death by her husband, Nelson Walter Kennerson in October of 2016. Graveside Services will be in Comstock Cemetery in Montville, Connecticut. Memorials may be made to Alzheimer's Association-Georgia Chapter, 41 Perimeter Center East, Suite 550, Atlanta, GA 30346. McCommons Funeral Home, 109 W. Broad St., Greensboro, GA, (706) 453-2626, is in charge of arrangements. Visit us online at www.mccommonsfuneralhome.com to sign the guest register.